A heartbreaking new photo series reveals just how terrible the conditions can be at many zoos around the world. Bloggers Giselle Correia and Cody Kuchirka at Mindful Wanderlust took the photos during a visit to the Pata Zoo, located on the top floors of a department store in the busy city of Bangkok, Thailand. 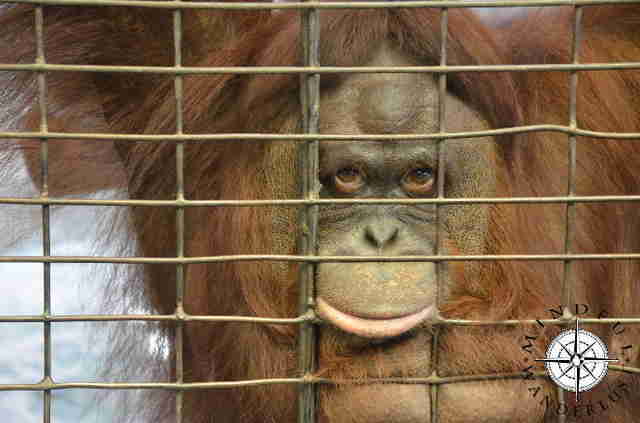 Pictures show soulful animals trapped in dirty wire cages with little to no enrichment. 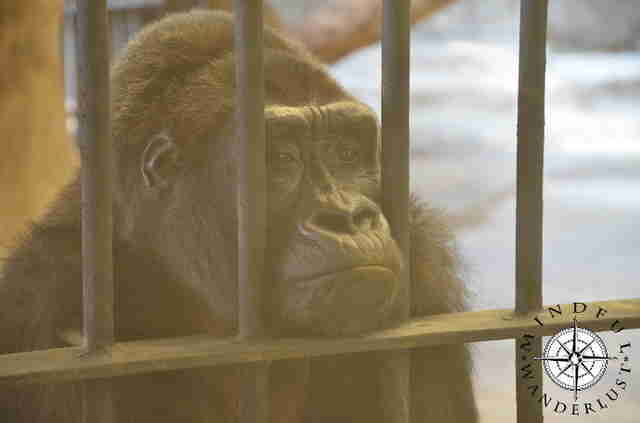 "Pata Zoo was especially terrible," Correia told The Dodo, noting that she is opposed to any zoos holding animals in captivity. "It is hot on the rooftop and the facility is bare bones. It looks like a forgotten place from 30 years past." 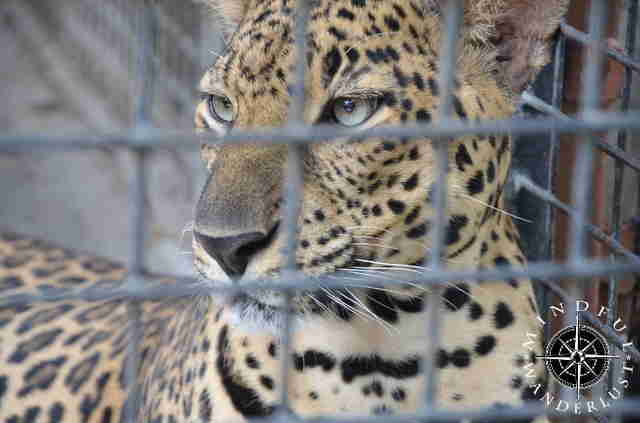 "Don't use mob rule here," zoo director Kanit Sermsirimongkhon told the International Business Times in September, noting that the zoo met all legal standards. But Pata Zoo has received extensive criticism, with activists rallying around captive gorilla Bua Noi last year in an effort to have her transferred to an appropriate sanctuary. There was no proper legislation in Thailand governing animal welfare until very recently, and while a bill was passed in late 2014, some activists argue that it's too vague to do much good. It looks like Bua Noi and the other animals won't be be going anywhere soon, as the zoo secured an annual renewal just before the bill passed. 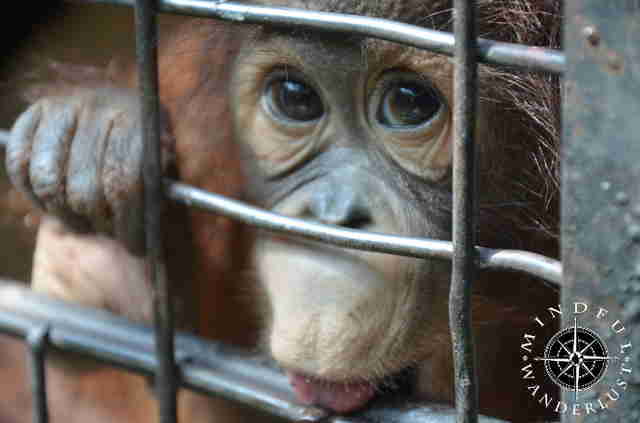 Correia detailed on the blog her moving encounter with a mother orangutan. "She crawled over and looked at me with eyes so full of self awareness and sadness that I couldn't help but cry." She also recounted to The Dodo that a penguin named Humbolt "looked like he had given up." The last of a group of 12, he spent the day in a cement block staring at the wall. 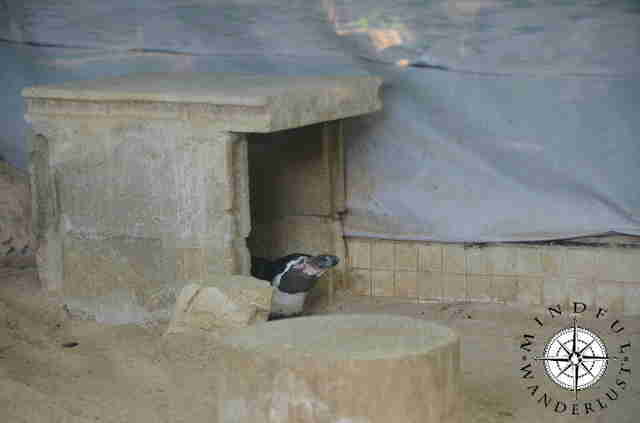 Unfortunately, the poor conditions at Pata Zoo aren't unique within the industry. While many zoos keep animals in unsuitable environments, some attractions have even been accused of drugging animals to make them passive around tourists, or whipping animals if they disobey. 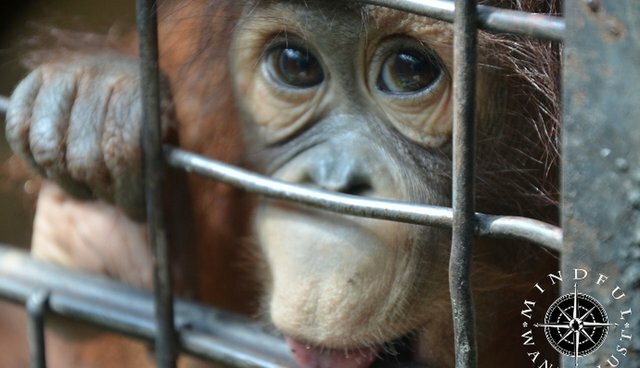 Correia and Kuchirka have started a petition urging Thailand officials to shut down the zoo and place the animals in a sanctuary. 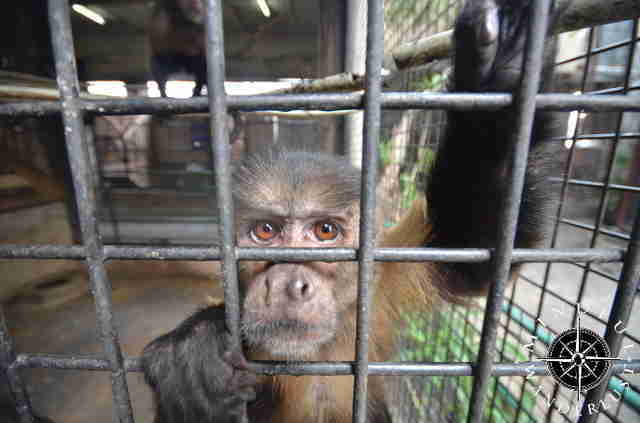 "Every animal at Pata Zoo lives in terrible conditions," Correia said. "From the cobra snakes indoors, to the African grey parrot behind bars, they are not treated as they should be. They are not free." To see more of the photo series, visit Mindful Wanderlust.